Sensitivity. International Journal of Higher Education, 7(6), 198-211. English. Journal of Language and Linguistic Studies 13(2),109-135. Teaching. International Journal of Language Academy, 5(1), 62-81.
attitude-success relationship in writing. Journal of Language and Linguistic Studies, 11(2), 1-11. Paker, T. & Karaağaç, Ö. (2015). The Use and Functions of Mother Tongue in EFL Classes. Procedia - Social and Behavioral Sciences, 199, 111-119. Duruk, E. & Paker, T. (2014). Vocabulary Deviations during Second Language Lexical Processing. International Journal of Liberal Arts and Social Science, Vol. 2 No. 8, 134-142. Dil Eğitimi Çalıstayı Bildirileri 12 – 13 Kasım 2012, 139-150. Paker, T. (2013). The Backwash Effect of the Test Items in the Achievement Exams in Preparatory Classes. Procedia - Social and Behavioral Sciences, Vol. 70, 1463-1471.
speaking communicatively. Pamukkale Üniversitesi, Eğitim Fakültes Dergisi, 32, 13-24. Paker, T. (2011). Student teacher anxiety related to the teaching practicum. 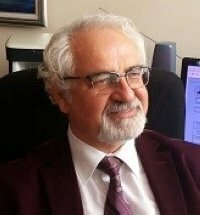 Eğitim Araştırmaları-Eurasian Journal of Educational Research, 42, 207-224. Paker, T. and Kocaman, P. (2009). Beliefs and Practices of ELT Teachers on the Use of Group Work. Eğitim Fakültesi Dergisi, 1 (23):132-139. Paker, T. (2007). Çal bölgesindeki okullarda İngilizce öğretiminin sorunları ve çözüm önerileri." Yardımlaşma ve Dayanışma Derneği Yayını: 3, Denizli: 684-690. Enstitüsü, Sosyal Bilimler Dergisi (Journal of Social Sciences), 6(6): 111-118. Paker, T. (1997). Creating awareness towards change" Çukurova Üniversitesi, Eğitim Fakültesi Yayınları No: 15. Çukurova Üniversitesi, Eğitim Fakültesi Dergisi 2(15):154 162. Yayınları No: 11. Çukurova Üniversitesi, Eğitim Fakültesi Dergisi, 1(11): 39-53.